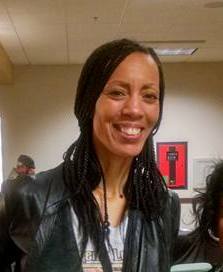 Dr. Sikivu Hutchinson is an educator, author, and filmmaker. Her writing credits include Godless Americana: Race and Religious Rebels and Moral Combat: Black Atheists, Gender Politics, and the Values Wars. Dr. Hutchinson has written extensively on Jonestown and Peoples Temple for other publications as well, focusing primarily on the perspectives of black women within the organization. One of her first articles on the subject, “Why Did So Many Black Women Die?”, appeared in Religion Dispatches in 2013. Her website blackjonestown.org is devoted to giving voice to the experiences and social history of African American Peoples Temple and Jonestown members, victims and survivors. Her novel White Nights: Black Paradise was published in November 2015 and reviewed by LA Progressive, Feminist Newswire, Gay Star News, Curve Magazine, and PR Underground. It was also reviewed by Annie Dawid and Rebecca Moore in the 2015 edition of the jonestown report, and was included as one of four books reviewed in an essay by Annie Dawid in the 2016 edition. Dr. Hutchinson discussed her book in a broadcast interview on the “Off-Ramp” program on KPCC Public Radio in Southern California. Print interviews have appeared in the SF Bay View African American newspaper (2016), in Religion Dispatches (2015), and in Eve Talks (2017). She also wrote a blog on the 2015 anniversary for The Huffington Post. An article that uses her work as a point of departure into a discussion of other groups appears in a November 2015 article in The Atlantic Magazine’s City Lab. Her earlier writings on Jonestown include her article in Religion Dispatches (which also appeared on her blogpost) and a description of her book here. Dr. Hutchinson has worked on transforming her novel into a film, which she described in an article in the 2016 edition of the jonestown report. An article about the film also appeared in the Religion News Service in November 2016. Her interview of Jonestown survivor Leslie-Wagner Wilson appeared on November 17, 2016 in The Huffington Post. In 2017, she organized a panel of black women Jonestown survivors at San Francisco’s Museum of the African Diaspora (MoAD). Her reflections on the MoAD discussion appeared in The Huffington Post blog in January 2018. Most recently, she developed a full cast staged reading of the play adaptation of White Nights, Black Paradise at Los Angeles’ Zephyr Theatre. A January 2018 article about that work appeared in OurWeekly, a publication serving the black population of Los Angeles. A preview article appeared in Splash Magazine in December 2018. A trailer for its limited run production at The Hudson Theatre was posted on youtube in January 2019. A discussion about Hutchinson’s works – her book, film and play – appeared in the LA Progressive in the weeks leading up to the 40th anniversary of the deaths in Jonestown. She can be reached at shutch2396@aol.com. Originally posted on January 6th, 2017.